Boeing is expected to announce the winner of a multibillion-dollar program to modernize the F-15’s electronic self defenses in May. The $7.6 billion Eagle Passive/Active Warning and Survivability System (Epawss) is part of a larger effort to finally upgrade the F-15 fleet as it is expected to remain in service to 2040, longer than planned due to the slow introduction of F-35s into the fleet and fewer-than-expected F-22s being procured for the air superiority mission. For more than a decade, Air Force leaders vowed to spend as little as possible upgrading legacy fourth-generation fighters in hopes of a swift shift to an all-stealth, fifth-generation fleet. Poor program management and high cost, however, has forced the service to rethink its plans. The service will upgrade up to 413 F-15Cs and F-15Es with the Epawss system, according to Air Combat Command (ACC) officials. Air Force acquisition officials say the life-cycle cost of the upgrade is $7.6 billion, a hearty sum given the service’s earlier plans to stifle resources for legacy fighters. Epawss is needed to replace the aging Tactical Electronic Warfare System (TEWS), which is based on 1970s technology. ACC officials say repair costs for TEWS have spiked 259% in the last decade, underscoring the need for a new system. 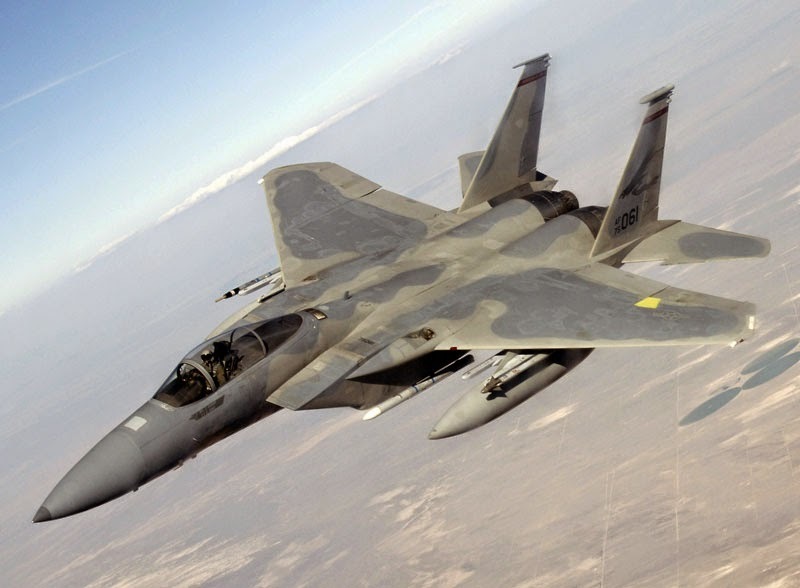 With Boeing, the F-15 manufacturer, as prime contractor and integrator, the Epawss system is expected to include a new digital internal radar warning receiver, upgraded chaff-and-flare dispenser and a new fiber-optic towed decoy. The new system will also address "capability gaps as threats evolve," ACC officials say. "The threat environment is becoming congested and contested [and] F-15s need a modern EW system to remain viable in the future operational environment." The emergence of Digital Radio Frequency Memory technologies also has frustrated allied EW technology, driving a need for upgrades. Using DRFM, an adversary can swiftly replicate signals, allowing for fast and accurate jamming in the air battle. Though ACC officials say TEWS "lacks performance to counter current/future threats," Epawss introduction into service is beyond the future years defense plan, or beyond 2020. Installs for developmental testing aircraft are slated for fiscal 2017, the Air Force acquisition officials say. 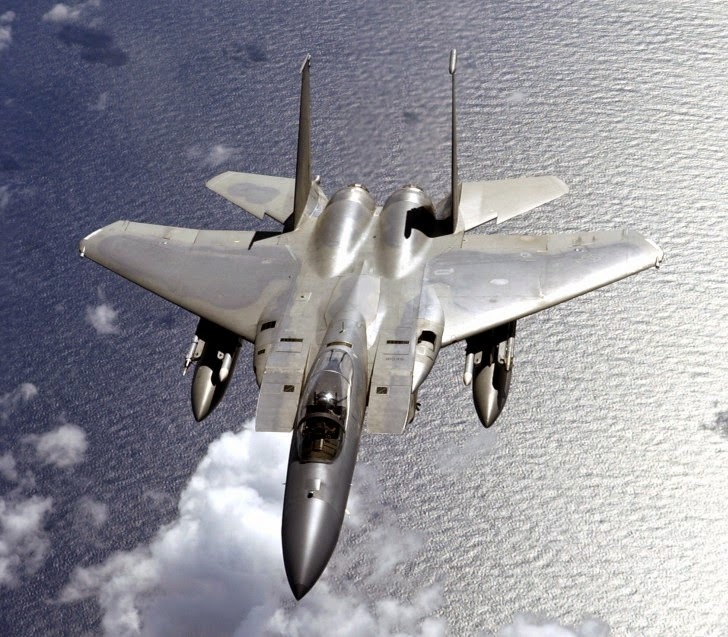 The service is also procuring a long-wave infrared search and track (IRST) for the F-15C aircraft, which are primarily dedicated to air superiority missions. This IRST will provide beyond-visual range identification for enemy formations, allowing for operators to distinguish the number and possibly type of aircraft in formation at extended range.